The wildly popular Open Mic Night Presented by Centre Music House has moved to a new location! 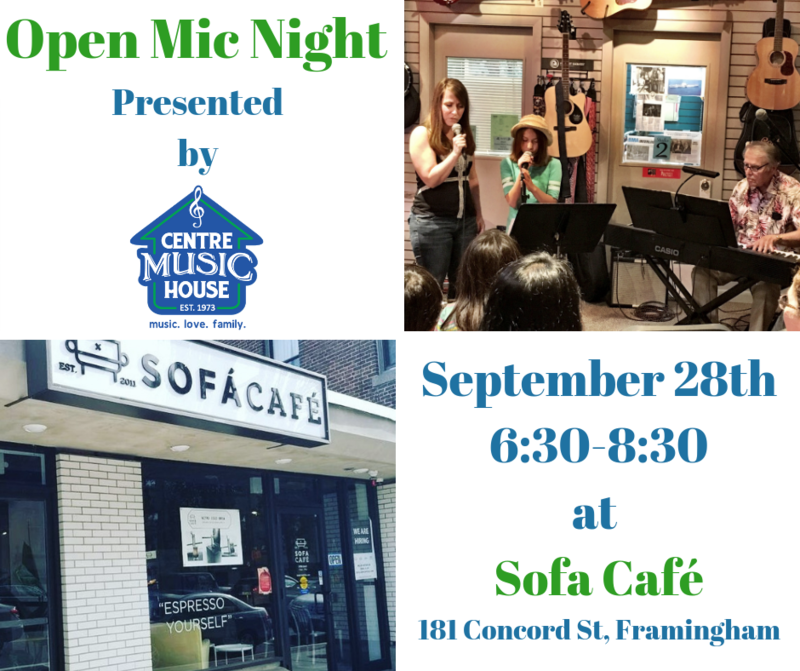 Located in downtown Framingham, Sofa Café will now be hosting this monthly event. Open Mic Night will be presented on the last Friday of each month from 6:30pm to 8:30pm. A backline is provided for performers which includes a P.A. system, microphones, drum set, amplifiers, and a keyboard. You may bring your own personal instruments (guitars, woodwinds, brass, violins, etc.) and effects. We look forward to seeing you all there and making the first Open Mic Night at Sofa Café a great success!